At this time of year, there is no doubt that the heating most definitely needs to be on to ensure you remain warm inside your home. The cold weather outside also means that many of us are opting to stay in during the evenings, meaning that we are using our heating a lot more. In the latest blog post by EGP Plumbers, we take a look at the advantages of temperature regulation and what it could mean for your energy savings. Temperature regulation controls allow homeowners to take control of the boiler and hot water tank separately, meaning that the two do not need to be on at the same time if it isn’t necessary. Controlling the two components in such a way has a variety of advantages. In the modern day, more and more households are opting for the installation radiator valves allowing the temperature of each room to be controlled separately. 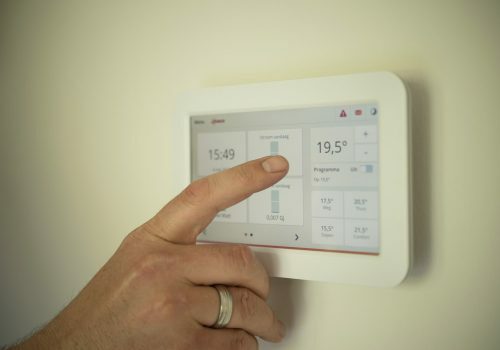 Homeowners are can choose what times the heating should come on, avoiding unnecessary energy being used. Sets a timer on the heating so it switches off when you’re out. Saves energy and limits excessive use. Heats only the rooms you choose. Provides a consistent temperature for your home, based on your preferences. Introduction of a room thermostat £55 and 280kg CO2 per year. Installation of a hot water tank thermostat: £20 and 110kg CO2 a year. Introduction of a hot water tank insulation jacket: £35 and 170kg CO2 a year. Here at EGP Plumbers, our work is all fully guaranteed. We provide a wide range of services, from bathroom installations, boiler repairs and central heating installations. If you would like more information on our work, we welcome you to contact us. Please call today on 0116 264 5115 or fill out our online contact form.